This market in Barcelona is one of the oldest and unique in Europe. Encants Market in Barcelona is also known as the Fira de Bellcaire and is one of the oldest markets in Europe that's had been going on the same site. The origins go back to the 1300s and is a strong example of the importance that Barcelona has had on the world of commerce throughout its history. It's a flea market where you can find all sorts of antiques and collectibles! In a bid to renovate the area, the market moved in September 2013 to a new and modern location on Plaza de las Glorias, so unfortunately it's debatable whether you can call it the same market as the one in the 1300s or just a tribute to its origins. Whichever it is though, it is still a fantastic market. 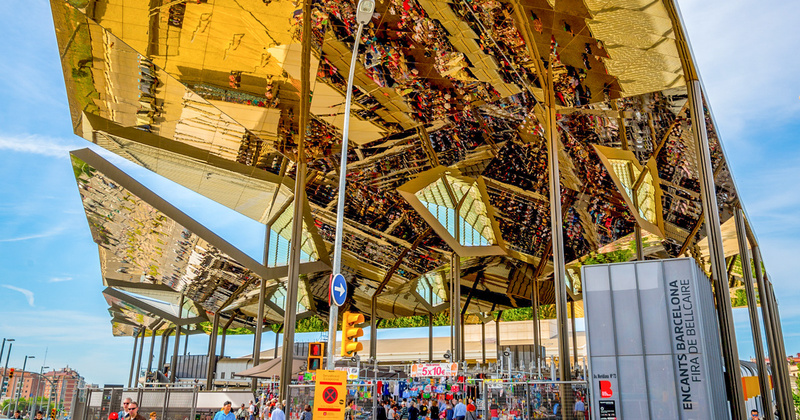 The structure is one of the greatest examples of contemporary architecture in Barcelona, with a a roof that's completely made of mirrors. 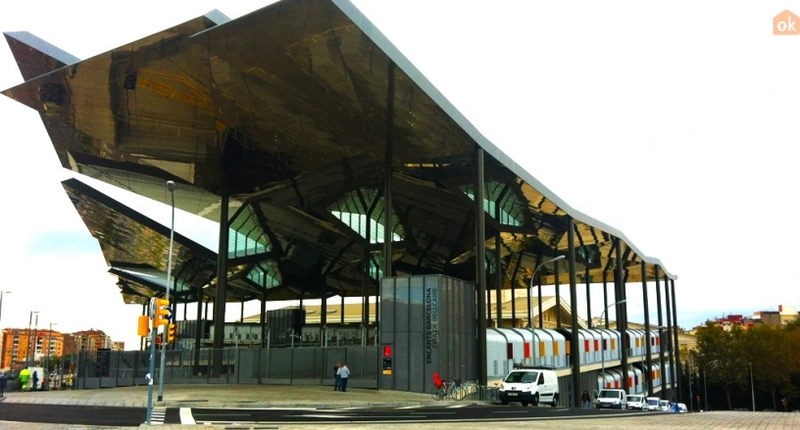 It retains the idea of an open market as it serves as a giant awning, blocking the sun and created pleasant shade for visitors. 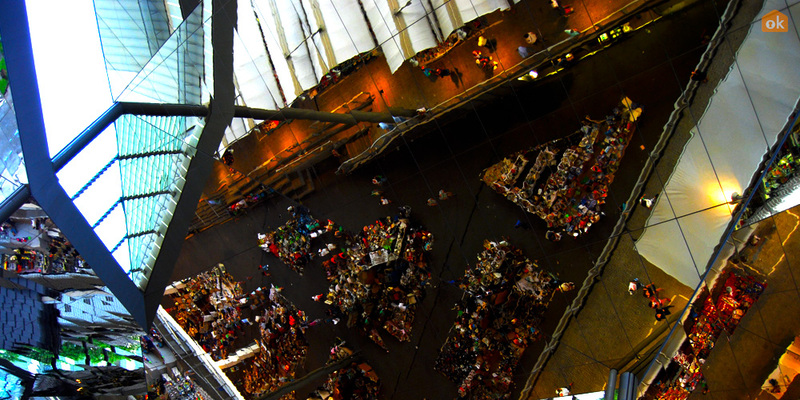 When under the structure, look up for a beautiful view of the colourful market. What can I get at this market? As aforementioned, you can get antiques, collectibles, and general new and second hand goods... But most importantly you can get a great deal! There are more than 500 stands that offer a great alternatives to the corporate chain stores of the city. 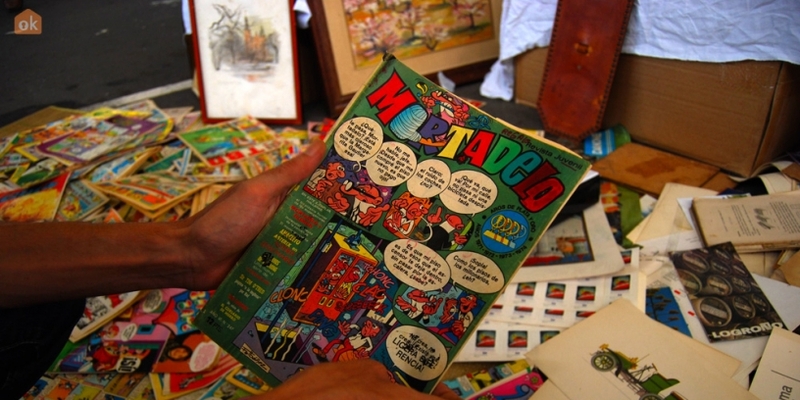 Vintage furniture, clothes, rare books, vinyl discs, collectibles, and high-tech gadgets are all on the cards here. When you need to refuel, there are a number of restaurants handy. Finally, you can enjoy various events organized from time to time on Sundays. 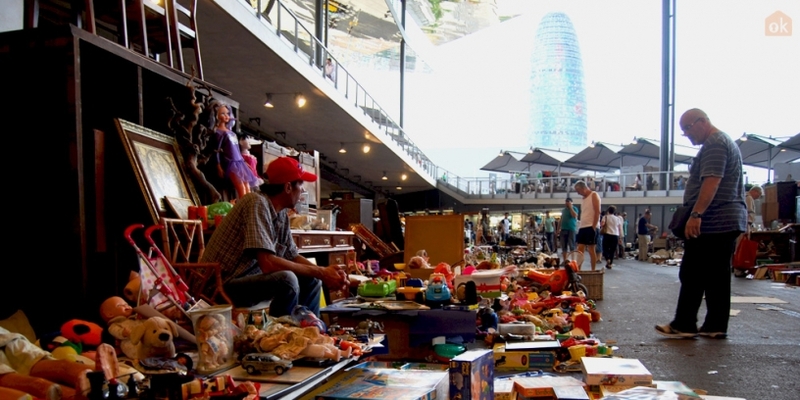 The thing that makes Encants the most unique in Europe is the auctions that they hold regularly, every Monday, Wednesday, and Friday from 8:00 - 9:00 AM. A word of advice; get there early to enjoy this one-of-a-kind experience and a great deal. In fact, it's the early hours at opening time when you can find the rarest objects and at the lowest prices. Opening hours: Monday, Wednesday, Friday and Saturday from 09:00 to 20:00. Auctions: Monday, Wednesday and Friday from 08:00 to 09:30. 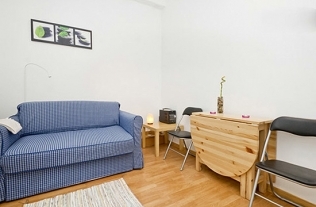 Where to sleep: You can find an apartment close to Encants by staying in Eixample Dret (the western part). Barcelona Design Museum Discover the new headquarters of the Barcelona Design Museum! Top 5 apartments with Swimming Pools Want to sunbathe in your own apartment rather than the beach? You can in one of these poolside apartments. 5 Apartments with terraces that you need! Which of these 5 great terraces would you stay in?